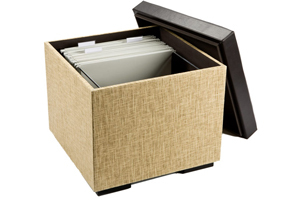 It is essential to organize your filing cabinet, protect and store documents, paperwork, computer printouts, manuals, photos, books and other important items at your workplace. Create your own customized filing system at your workplace with our collection of hang file folders, 3 ring binders, and document bags. Choosing files with reference to size: We have these materials in many different sizes so you can pick the right one for your office and fit it accordingly. Choosing files with reference to colour: Organizing your documents by color is a great way to get your office in shape so you can use it most efficiently. Choosing files with reference to the material: Pick according to material so you can find the texture and durability that you prefer. 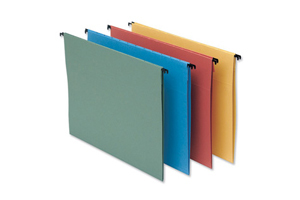 Find the right hanging file folders, 3 ring binders, document bags and more from OfficeRock.com and protect your documents today!